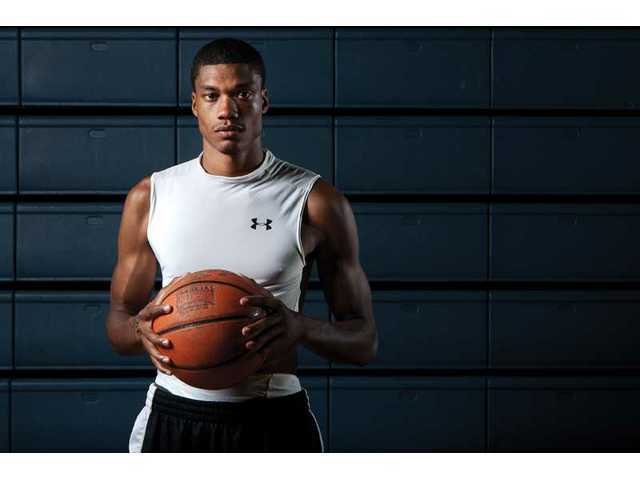 Rapheal Harris, 6’7″, 215 spent two years at Antelope Valley College. His basketball game was so rough without High School experience, that he did not play much. But he was very busy learning important things; learning what team basketball meant, defense, the weight room, and 3.9 GPA. In spite of his limited playing time at AVC, his size and GPA led to a scholarship at Master’s College. Rapheal took the next step this year and played with Sartina Budian pro team in Indonesia. He has been asked to join a professional tour to China this spring and expects to play again next season in Asia. Congratulation to Rapheal. Rpheal signed a contract with the Asian League for the coming year and will be playing basketball for their pro league in Mongolia.